I can't even express how blessed I feel to have the team I have at SKORCH Magazine! They produce empowering and positive content that SHOWS women that real is perfect and that you can love your body and dress it well no matter what size. 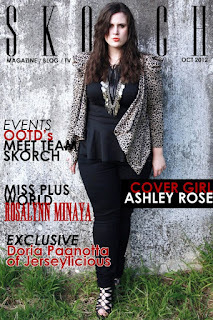 This month, Tiffany (Editor-in-Chief) and I surprised Ashley Rose, one of our bloggers from Australia, with the cover! Hehehehe! From Tiffany - "Inside you will see the very stunning Doria Pagnotta from Jerseylicious. She is as sweet as she is beautiful. Thank you to Jovana Reyes for rocking out some amazing editorials. 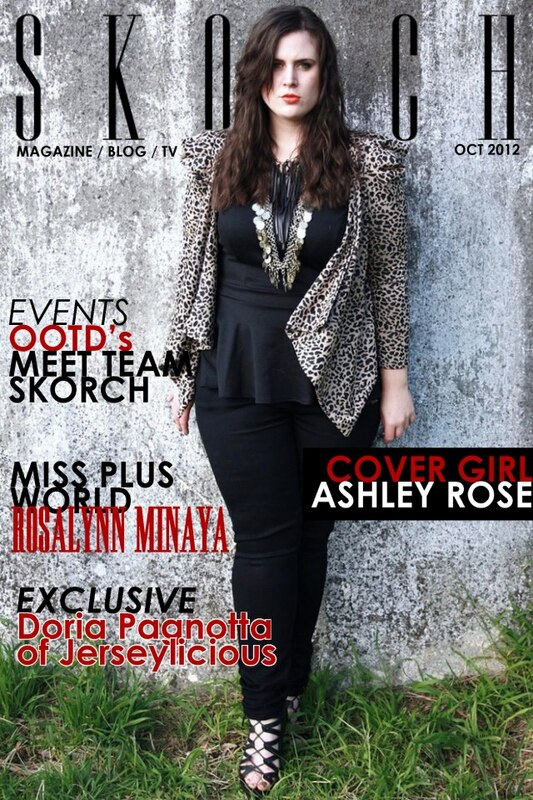 Our cover model is the beautiful Ashley Rose from This is Ashley Rose. She is an Aussie Blogger and a proud Skorch team member. When Ashley posted these pics, we knew she needed to be our cover model! It also shows that you don’t have to be a model, or a celebrity to get our cover because REAL IS PERFECT. Speaking of Real is Perfect, you will love the Real is Perfect shoot featuring some of our favorite people."